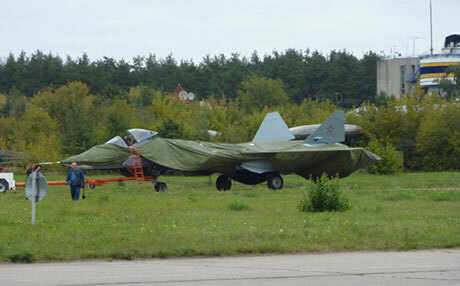 There is no shortage of uncertainty about the future of Russia’s Sukhoi Perspektivniy Aviatsonnoi Kompleks-Frontovoi Aviatsii (PAK-FA)/T-50 fifth-generation fighter project. These doubts are driven by problems with major subsystems, delays with the aircraft’s introduction into service, and plans to defray some of the R&D cost by making India a developmental partner on the aircraft. In the same vein, the T-50’s composite panels are also handmade using the same basic technology as the well known Sukhoi range of all-composite aerobatic sports aircraft. The fifth-generation engine that is to power later versions of the T-50 is still mostly on paper, say Russian industry experts. The flight-test aircraft are powered by the same Saturn 117S engine that is installed in the Su-35, and this will also be the engine for the initial production batches of the T-50. Above all, without changes to the aircraft it is questionable whether or not the T-50 will actually be a low-observable design. Several aspects of the aircraft as currently configured will produce unacceptably high RCS, as well as IR, signatures, according to U.S. industry experts who spoke to AIN. Another factor is that the T-50 program was considered to be economically viable only if India stepped up to purchase at least 250 of the aircraft, and also would share in the R&D effort. But India is planning to procure only around half that number of fifth-generation fighter aircraft. Sources in the Indian MoD state they cannot afford both the T-50 and the Dassault Rafale that was selected as the winner in the MRCA competition. If the situation becomes an “either or” proposition the T-50 may be jettisoned in favor of the French fighter so India does not place all of its eggs in the Russian basket.